Belmonte Hotel is located in the center of Favara, only 6 km from Agrigento. The Sicilian town experienced its greatest splendor in the past thanks to the thriving market developed around its sulfur mines. As evidence of that wealth and wellbeing, Favara still houses marvellous noble residences scattered over the center in an explosion of architectural beauties. Belmonte Hotel stands as a gem in this environment, now more austere and somber than in a declining past, with the aim of restoring the climate of the past in the historic center of the small Sicilian village, an ideal starting point for your excursions in Sicily. 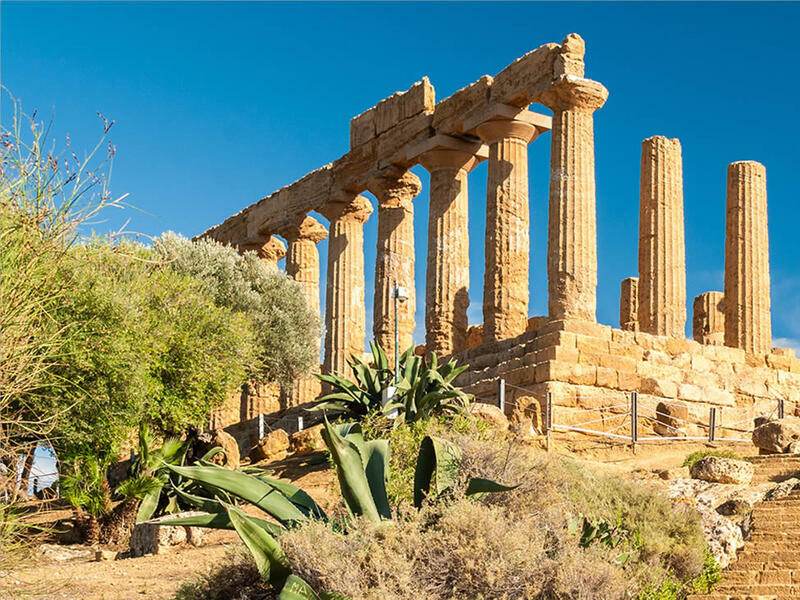 Choose to live a unique experience like visiting Agrigento, the Valley of the Temples and Favara with us. We will guide you, with tours organized directly by us in cooperation with Filovacanze, through excursions and activities throughout the beautiful island. We boast a strong experience in this sector and, thanks to the contacts established with local agencies and tourism experts, we also organize all the transfers during your trip, to discover the beauties of this magical place rich in history and nature.